If you have any questions or concerns about our use of your Personal Information, then please contact us using the contact details provided. Cookies set by the website owner or service provider (in this case Premium Pet Doors) are called “first party cookies”. Cookies set by parties other than the website owner are called “third party cookies”. Third party cookies enable third party features or functionality to be provided on or through the website or service you are using (such as advertising, interactive content and analytics). The third parties that set these third-party cookies can recognize your computer both when it visits the website or service in question and when it visits certain other websites or services. Mobile Advertising: You can opt out of having your mobile advertising identifiers used for certain types of Interest Based Advertising, including those performed by us, by accessing the settings in your Apple or Android mobile device and following the most recent published instructions. If you opt out, we will remove all data about you and no further data collection or tracking will occur. The random ID we (or our third-party partners) had previously assigned to you will also be removed. This means that if at a later stage, you decide to opt-in, we will not be able to continue and track you using the same ID as before, and you will for all practical purposes be a new user to our system. Our Service: We may collect personally identifiable information about you, such as your full name, phone number, and email address, when you register for a service. If you choose to purchase a product from us, we or our third-party payment processors will collect your payment information. We also collect data through our partners (customers) who use the Premium Pet Doors (including by embedding our code on their websites) on their websites or mobile applications. When you use the Premium Pet Doors Site or if you visit our mobile applications, we may receive certain information about you as described below. If you choose to withhold any Personal Data requested by us, it may not be possible for us to respond to your query or provide services. You may provide us with information by filling in forms on our website(s) or by corresponding with us by phone, email, live-chat or otherwise. This includes information you provide when you register for an account, search for a price comparison or quote, enter into a contract for the supply of services, enter a competition, promotion or survey and when you report a problem with our site. The personal information you provide may include your name, address, email address and phone number, financial and credit card information and other information about yourself to enable us to provide you with our price comparison services, switching services or other related services. 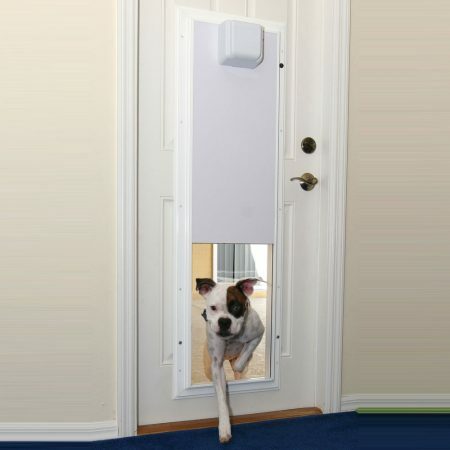 We use the information to operate, maintain, enhance and provide all features of services, to provide any information that you request, to respond to comments and questions and to provide support to users of Premium Pet Doors. We process Client Data solely in accordance with the directions provided by the applicable client or user. We use the information to understand and analyze the usage trends and preference of our visitors and users, to improve services and to develop new products, services, feature and functionality. We may use a visitor’s or users email address or other information to contact that visitor or user (i) for administrative purposes such as a customer service, service communications, respond to your requests and concerns, financial information for payment purposes, and cookies to remember passwords and user preferences, to address intellectual property infringement, right of privacy violations or defamation issues related to the Client Data or Personal Data (ii) with updates on promotions and events, relating to products and services offered by us. You have the ability to opt-out of receiving any promotional communications. Targeted ads or interest-based offers may be presented to you based on your activities on our webpages, and other websites, and based on the products you currently own. These offers will display as varying product banners presented to you while browsing. We also partner with third parties to manage our advertising on our webpages and other websites. Our third-party partners may use technologies such as cookies to gather information about such activities in order to provide you with advertising based upon your browsing activities and interests, and to measure advertising effectiveness. If you wish to opt out of interest-based advertising, click here [or if located in the European Union click here]. Please note you will continue to receive generic ads. 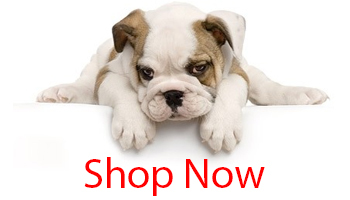 You can visit our website without giving away your personal information, Premium Pet Doors uses Google Analytics, WordPress and Cookies to improve our service, user experience and analyze how the website is used. Aside from the approximate location (IP address), the information collected by Google Analytics is mostly anonymous traffic data including browser information device information, language. We do not collect additional information such as your age, gender, interests, bank details, or clickstream unless the user voluntarily fills out one of our forms or orders services on our site or through communicating with us. The collected information is used to provide an overview of how people are accessing and using the Premium Pet Doors website. By default, WordPress does not collect any analytics data. 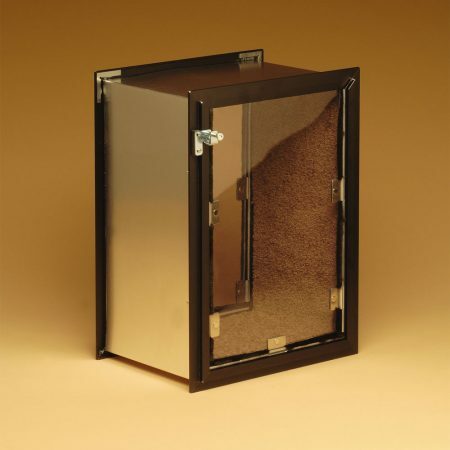 Premium Pet Doors will not rent or sell your personally identifiable information to others. We may store personal information in locations outside the direct control of Premium Pet Doors (for instance, on servers or databases co-located with hosting providers). Any personally identifiable information you elect to make publicly available on our site or the Premium Pet Doors Social Platforms, such as posting comments or images on our blog of social media platforms will be available to others. If you remove the information that you have made public on our sites, copies may remain viewable in cached and archived pages of our sites or social platforms, or if others have copied or saved that information. Our sites are managed by a third-party application that may require you to register to post comments or sign up for events. To remove comments from our blog, you can contact us via email or phone. We may share non-personally identifiable information (such as anonymous usage data, referring/exit pages and URLs, platform types, number of clicks, etc.) with interested third parties to help them understand the usage patterns for certain Premium Pet Doors services and those of our partners. Our partners also have the option to publish the results for their websites. Such results consist solely of non-personally identifiable information. If we choose to publish such results on the Premium Pet Doors site, (for example, in our results gallery), you understand and agree that this information, along with any personally identifiable information you choose to make available in connection with such results will be made publicly available. Your information collected through the Premium Pet Doors site may be stored and processed in the United States, Europe, or any other country in which Premium Pet Doors or its subsidiaries, affiliates or service providers maintain facilities. Premium Pet Doors may transfer information that we collect about you, including personal information, to affiliated entities, or to other third parties across borders and from your country or jurisdiction to other countries or jurisdiction around the world. If you are location in the European Union or other regions with laws governing data collection and use that may differ from U.S. law. Please note that we will not transfer information, including personal information, to a country and jurisdiction that does not have the same data protection laws as your jurisdiction. We keep contact form entries 1 year after filled out, analytics records for 3 years, and customer purchase records for ten years (includes free giveaways, promotions, event purchases and giveaways). You have the right to request access to the information we have on you, including any data you have provided to us. 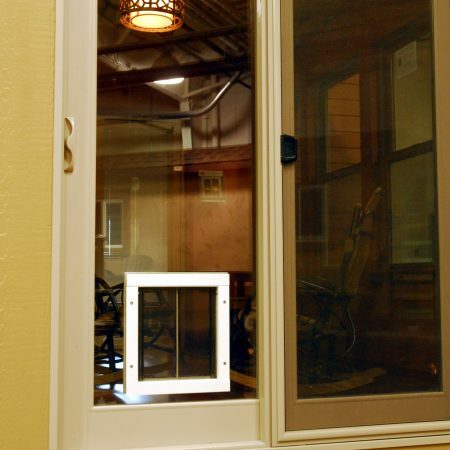 You can do this by contacting us at info@premiumpetdoors.com. We will make sure to provide you with a copy of the data we process about you. To comply with your request, we may ask you to verify your identity. We will fulfill your request by sending your copy electronically, unless the request expressly specifies a different method. If you believe that the information we have about you is incorrect, you are welcome to contact us, so we can update it and keep your data accurate. Any data that is no longer needed for the purposes specified in Information Collection and Use will be deleted. If at any point you wish for Premium Pet Doors to delete information about you, you can simply contact us. This does not include any data we are obliged to keep for administrative, legal, or security purposes. Premium Pet Doors is concerned with protecting your privacy and data, but we cannot ensure or warrant the security of any information you transmit to Premium Pet Doors or guarantee that your information on the Premium Pet Doors site may not be accessed, disclosed altered or destroyed by breach of any of our industry standard physical, technical or managerial safeguards. Our website is encrypted and considered secure. When you enter sensitive information (such as log in credentials) on our registration or order forms, we encrypt that information used Secure socket layer technology (SSL). No method of transmission over the internet or method of electronic storage is 100% secure, however. Therefore, we cannot guarantee its absolute security. We do use third party for email communications, site hosting and a credit card processing company to bill you if you purchase services. These companies do not retain, share, store or use personally identifiable information for any other purpose. We are aware of privacy related concerns and fully respect everyone’s right to privacy. We have prepared to be GDPR compliant in as many ways as possible. If you have any questions about security on our site, you can contact us at: info@premiumpetdoors.com. Premium Pet Doors processes Personal Data both as a processor and as a controller as defined in the Directive and the GDPR. All data collected by Premium Pet Doors through any channel (website, mobile, app, email or 3rd party) is stored exclusively in secure hosting facilities provided by GoDaddy. Use our Privacy Tools to manage your data on this site. 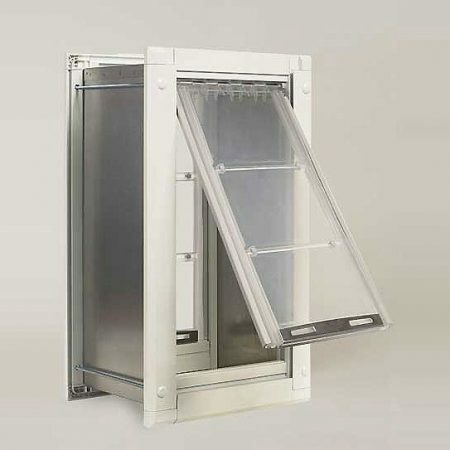 If you have any additional questions about Premium Pet Doors collection and storage of data, please contact us at: 719-800-1152 or info@premiumpetdoors.com.